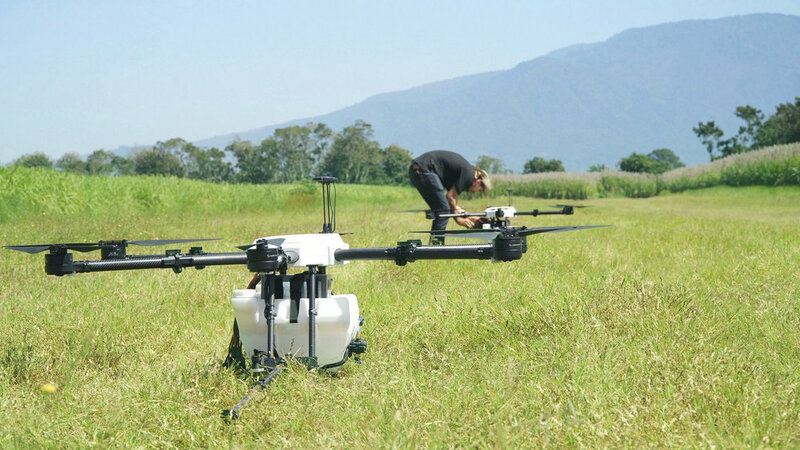 Hylio ended 2018 with a rapid-fire tour of live demonstrations for agricultural producers all across Central America. As 2019 begins, Hylio is now servicing farmers in Guatemala and Honduras, in addition to the clients we continue to provide for in El Salvador. Our service teams have received positive reviews from the agronomists and technicians we have interacted with, and demand for our crop-spraying services is continuing to rise. As the year continues, we will strive to scale our operations up, while maintaining our dedication to customer service, in order to provide top-quality applications to as many producers as possible. Hylio engineers are hard at work developing tools that provide additional value to our customers. We are now offering post-application reports to the farmers and landowners we service so they can easily evaluate the results of our spraying. These interactive reports allow our clients to see exactly where our drones sprayed, the altitude of the application, and the exact amount of product we applied, accurate to the milliliter. Using this easily accessible information, our customers can make informed decisions about their future crop cycles to improve their yields. We understand that farming requires flexibility, as our customers need to react to the natural cycles of the growing season. To help make this easier, Hylio is introducing a web interface for our clients to access progress reports on their ongoing applications, in real-time. Here, farmers can instantly coordinate with our technicians to schedule additional applications, make adjustments to ongoing plans, and readily access the application analytics that we generate after every flight. Hylio is excited to announce that we are beginning to work hand-in-hand with partners in the United States to begin offering our products and services to the American farmers and landowners. Hylio intends to abide by all regulatory requirements outlined by the FAA and EPA in order to provide the most professional and effective service to the American agricultural industry. You will find us at Beck’s Superior Hybrids ‘Becknology Days’ in August of this year across the Midwestern and nearby states, including Ohio, Kentucky, Illinois, and Indiana, demonstrating our services for anyone who is interested. Back at our home in Texas, we continue to expand our team with brilliant engineers, computer scientists, and other staff members who are committed to maintaining Hylio’s break-neck pace of innovation. We recognize the hard work and sacrifice that farmers around the world make on a daily basis to keep our neighborhoods, cities, and nations thriving. Hylio’s focus in 2019 is to continue creating tools based on direct feedback from these farmers and agronomists so that we can continue to create true value and unparalleled utility for the agricultural community with our technology.